Developed with show lambs in mind, Southern States Grow N Show (BVT) Lamb Feed Medicated is a textured feed that assists in the prevention of coccidiosis. This medicated lamb feed contains added yeast for improved rumen function during stress, as well as added selenium, Vitamin E, Zinc Methionine and Bovatec to improve health and stress resistance during periods of travel. Feed GROW-N-SHOW (BVT) LAMB FEED MEDICATED continuously to sheep maintained in confinement at the rate of 1 to 4.66 lbs to provide not less than 15 nor more than 70 mg of Lasalocid per head per day depending on bodyweight. Follow Southern States Mineral Program as recommended. 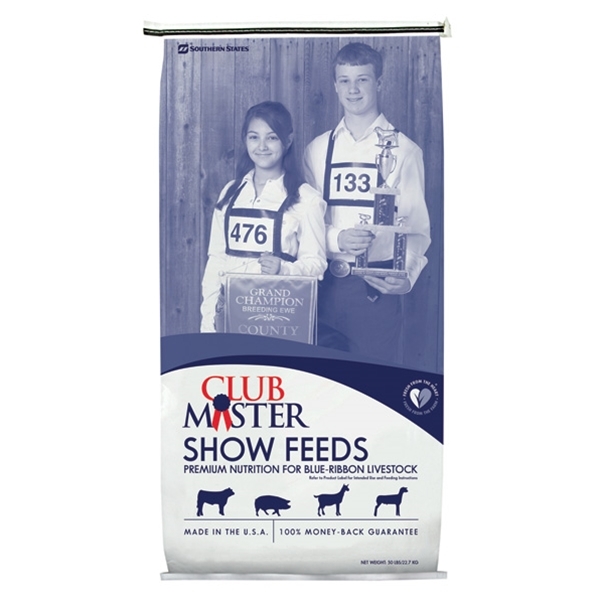 For optimum results, obtain feeding recommendations from your Feed Service Representative. Vaccinate for enterotoxemia (overeating disease). Do not permit intake of supplemental selenium to exceed 0.3 ppm in the total ration. The safety of Lasalocid in unapproved species has not been established. Do not allow horses or other equines access to feeds containing Lasalocid as ingestion may be fatal. Feed GROW-N-SHOW (BVT) LAMB FEED MEDICATED continuously to sheep maintained in confinement at the rate of 1 to 4.66 lbs to provide not less than 15 nor more than 70 mg of Lasalocid per head per day depending on bodyweight. Follow Southern States Mineral Program as recommended. For optimum results, obtain feeding recommendations from your Feed Service Representative. NOTE: Vaccinate for enterotoxemia (overeating disease). Do not permit intake of supplemental selenium to exceed 0.3 ppm in the total ration. Caution: The safety of Lasalocid in unapproved species has not been established. Do not allow horses or other equines access to feeds containing Lasalocid as ingestion may be fatal.